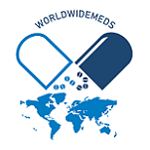 MEDoctor (MTEL) wants to provide its services to any patient worldwide. Everyone deserves proper healthcare, including in developing countries and in remote areas, where healthcare in not easily accessible. MEDoctor will allow patients to receive an AI-based differential diagnosis report and have a video call with a doctor of their choice. They then can purchase a prescribed or over the counter medication online. All patients health records will be stored on blockchain. The team claim to have developed a proprietary AI diagnostic technology based on 27,560 case study. The technology includes 898 diseases and conditions. The team is issuing an ERC20 MTEL token. Patients can choose to pay for online doctor services and pharmacy in MTELs. Pharma companies and other medical service providers will have to buy token to offer their products in the online pharmacy. 3.2M USD raised to built it. Patient acquisition reduced from $45 to $1. We just revamped our Website a bit. It is much better for smartphones now. We know that 50% of people do their entire crypto business via their smartphone.